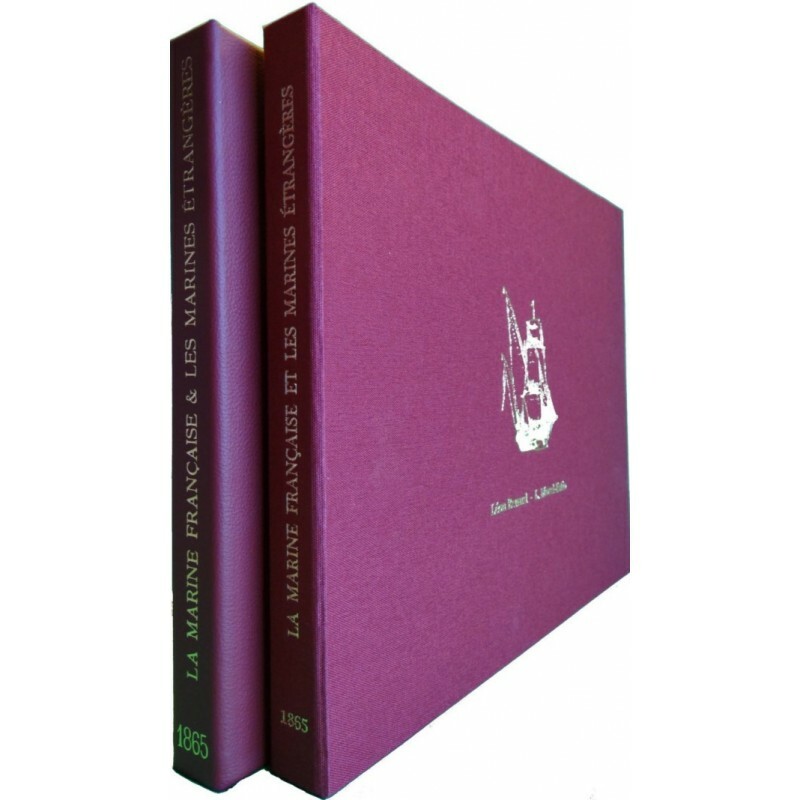 This first reproduction of the rarest of works containing 56 pages of descriptive text by Léon Renard and 43 25 x 32 cm plates, by Morel-Fatio, 22 of them in color (colored first edition) contains a 52x42 plate. 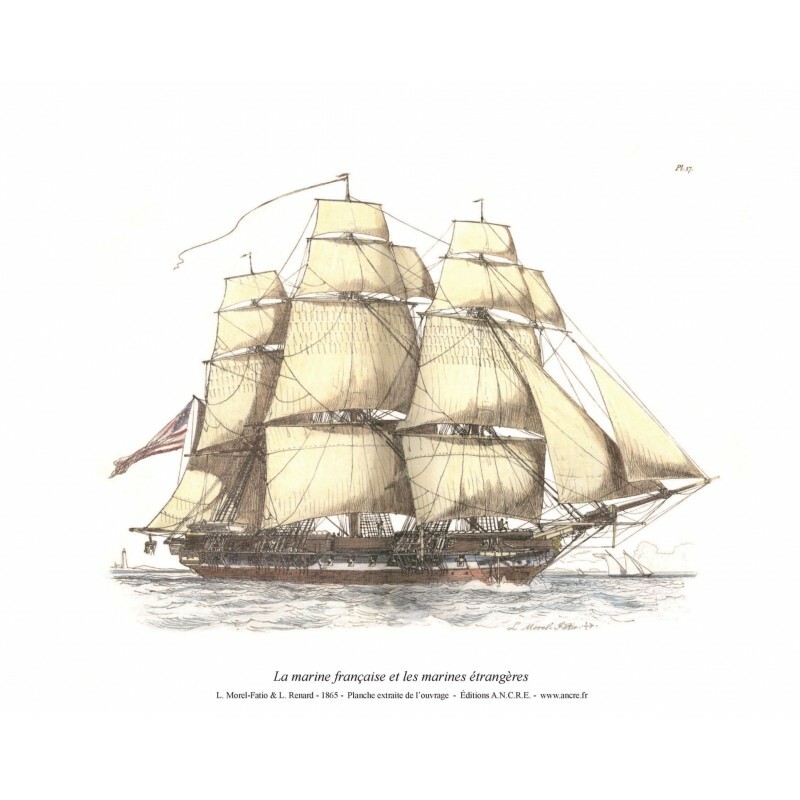 Morel-Fatio's albums are one of the most - if not the most - precious pictorial sources about the XIXth century sailing navy. 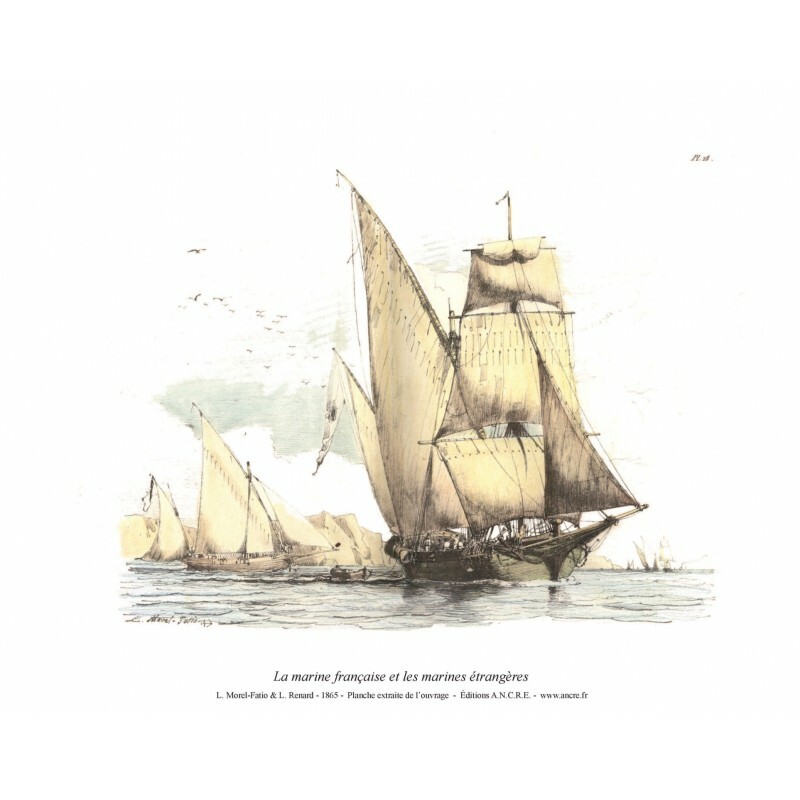 Very familiar with the area of Normandy, Morel-Fatio was a sailor who had an almost-sensual love with the seashore, but an even more deeply-rooted one for ships. 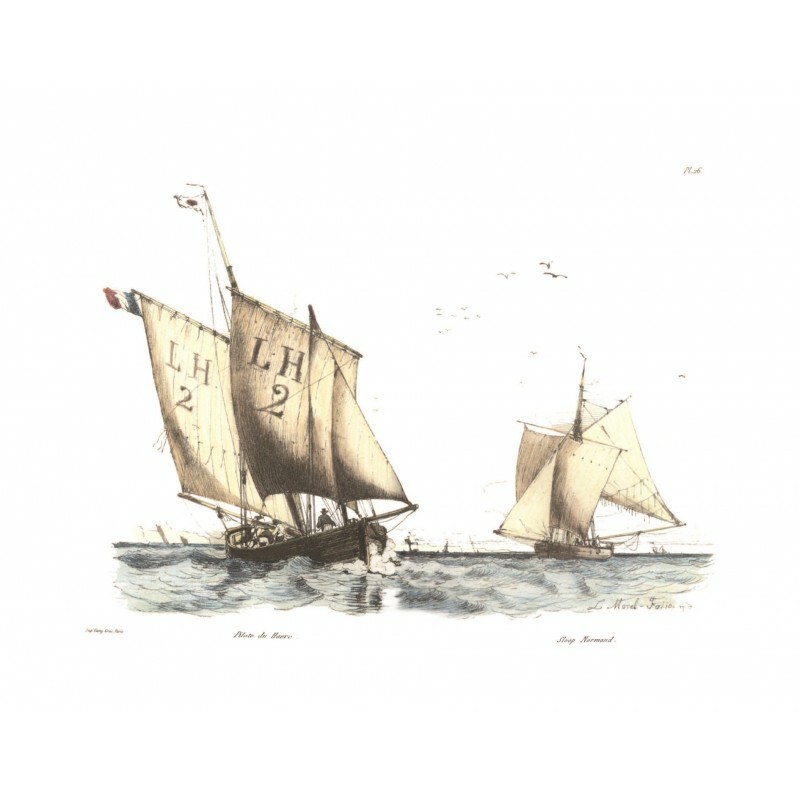 Co-founder of the Société des Régates du Havre (the Society of the Le Havre Regattas), Morel-Fatio played a rôle in the development of the sport of sailing in France. 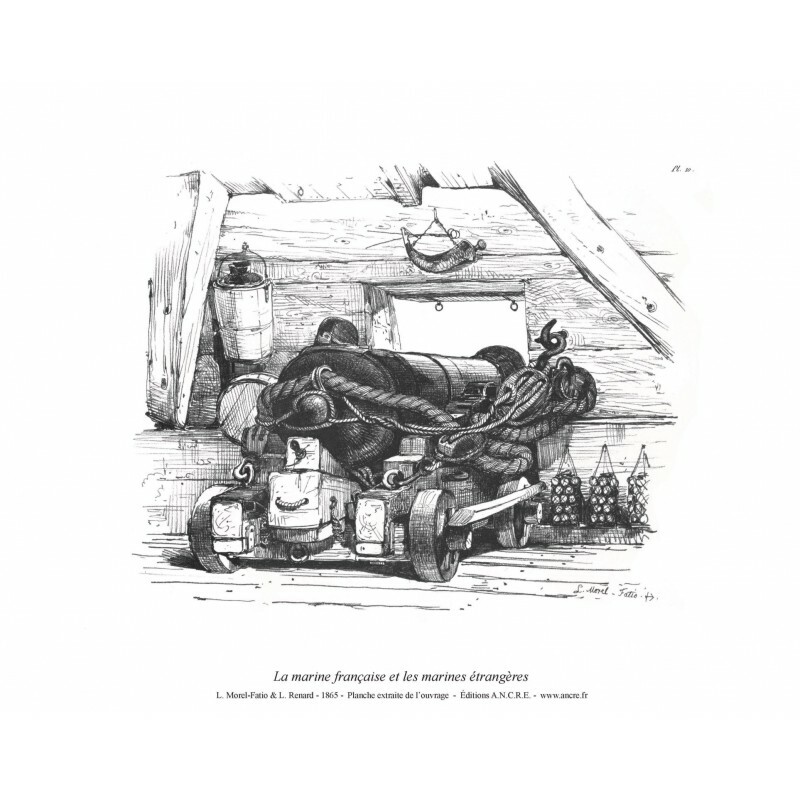 Along with the novelists Alphonse Karr, Alexandre Dumas and some other painters, he started in 1847 a public subscription to finance the construction of a clinker-built yacht « L'AVENIR », in order to challenge the invincible British racer « L'ALARM », in the Le Havre regatta. 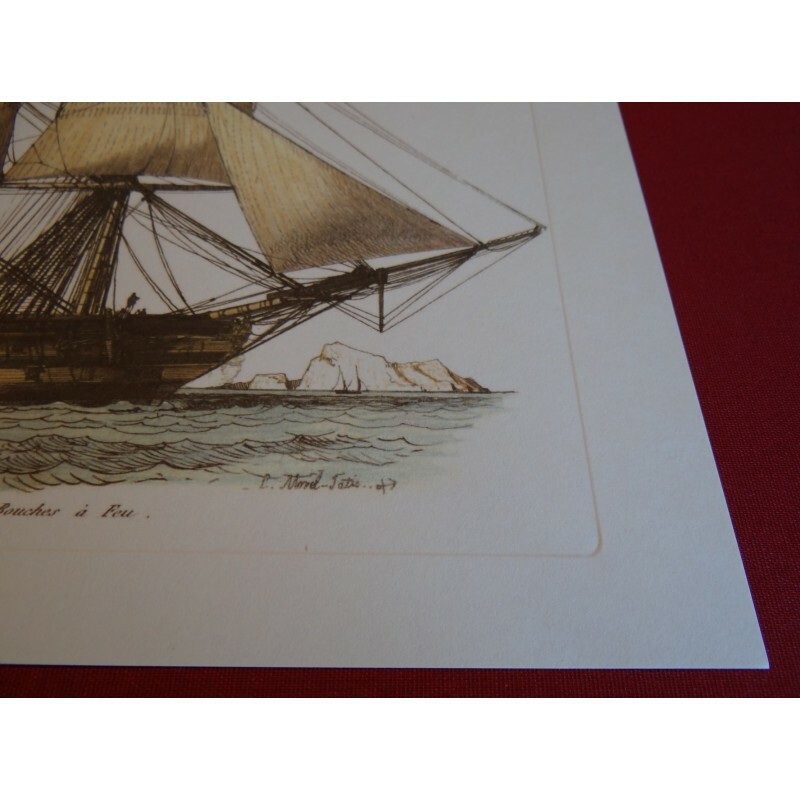 But it is in the area of detailed plates that More-Fatio's contribution is irreplaceable : indeed, it was as a naval archaeologist as well as a sailor and an artist that he drew ships. 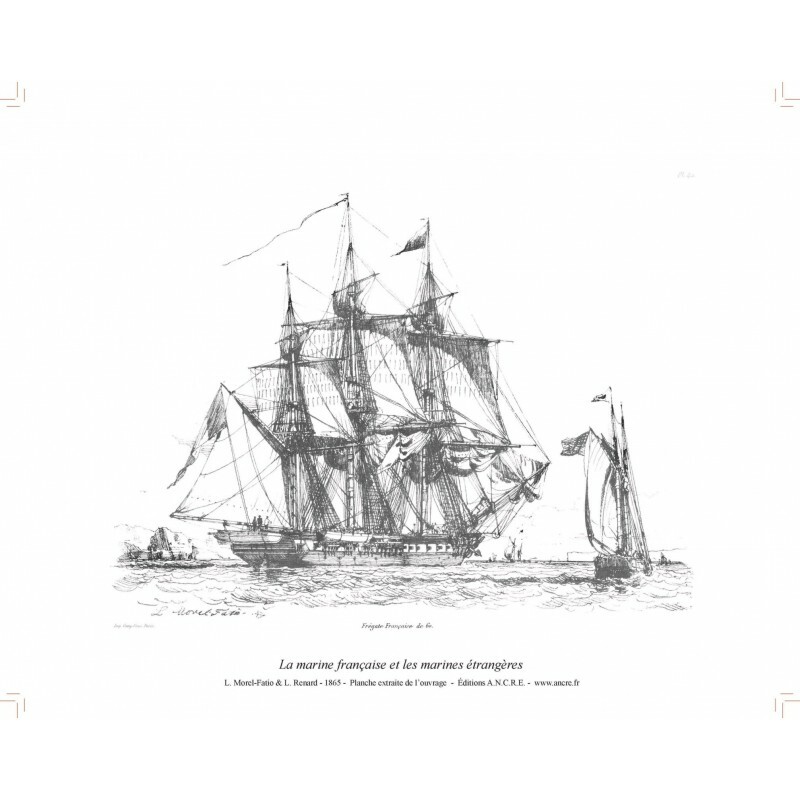 Named as curator of the Musée de la Marine and of the ethnographic collections of the Musée du Louvre in 1852 at the end of his careeer, More-Fatio had acquired a remarkably profound erudition for the time. 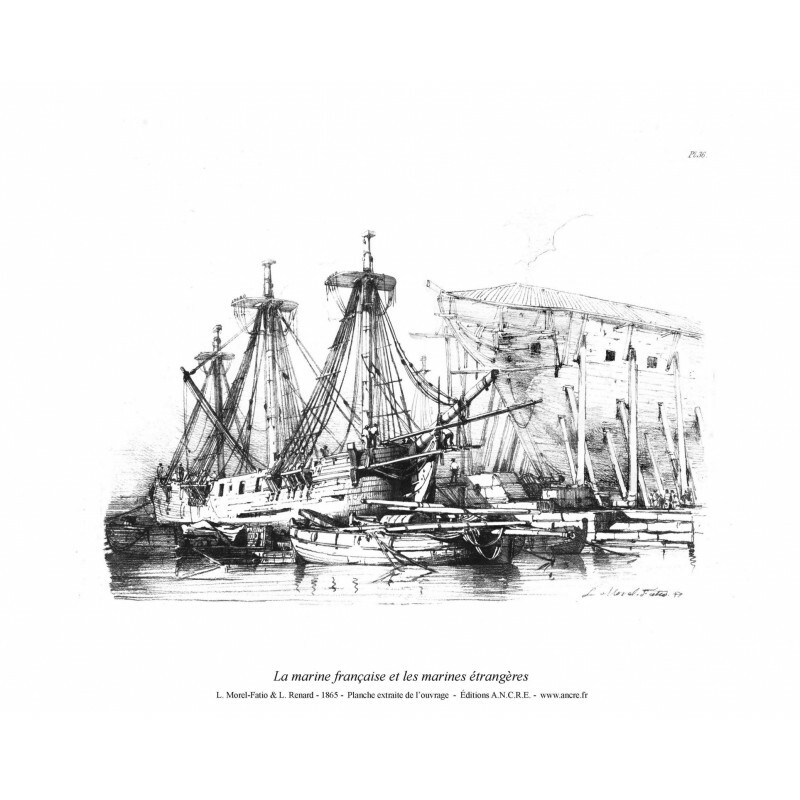 In 1854, he drew-up the Register of the Maritime Collections of the Musée du Louvre. 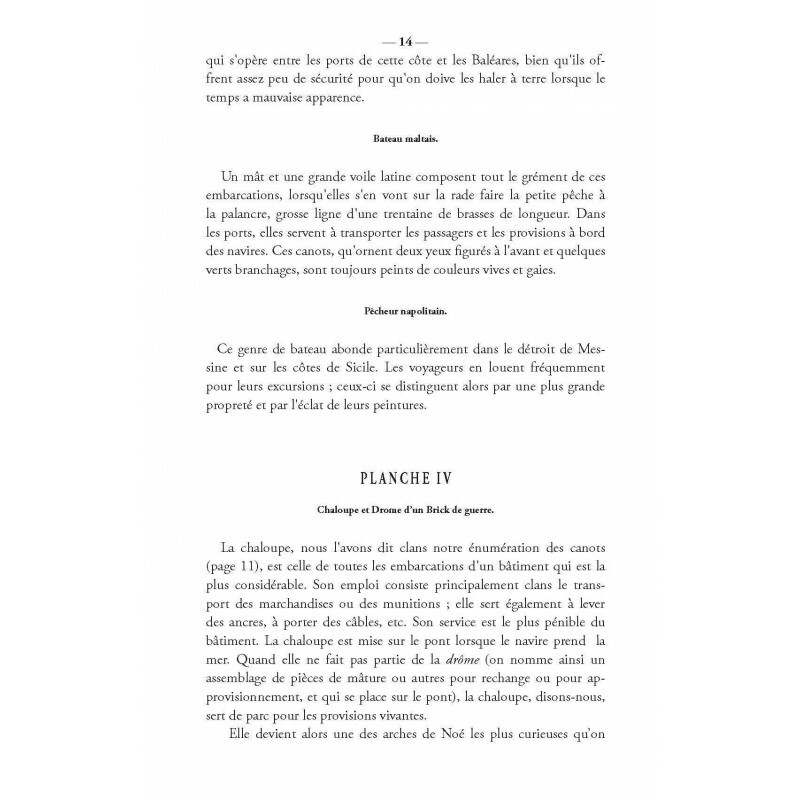 The first edition of « The French and Foreign Navies » of 1865, with a descriptive text by Léon Renard that contains many interesting elements, was written by a contemporary of the painter. 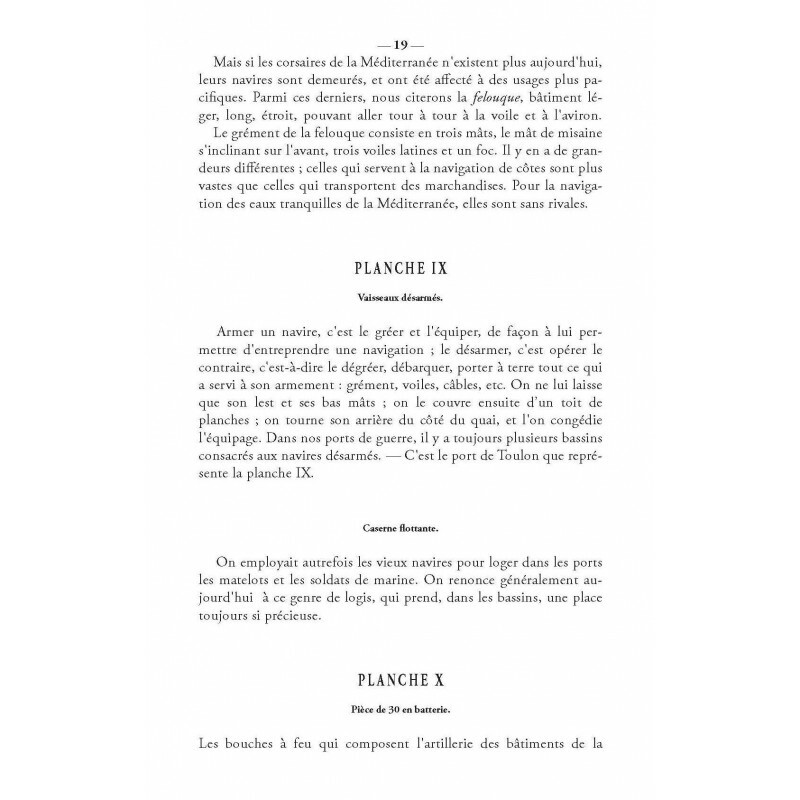 Of course, this editorial choice cannot take the place of commentaries that could have been made by Morel-Fatio himself, a careful witness of the scenes he has generally drawn live. 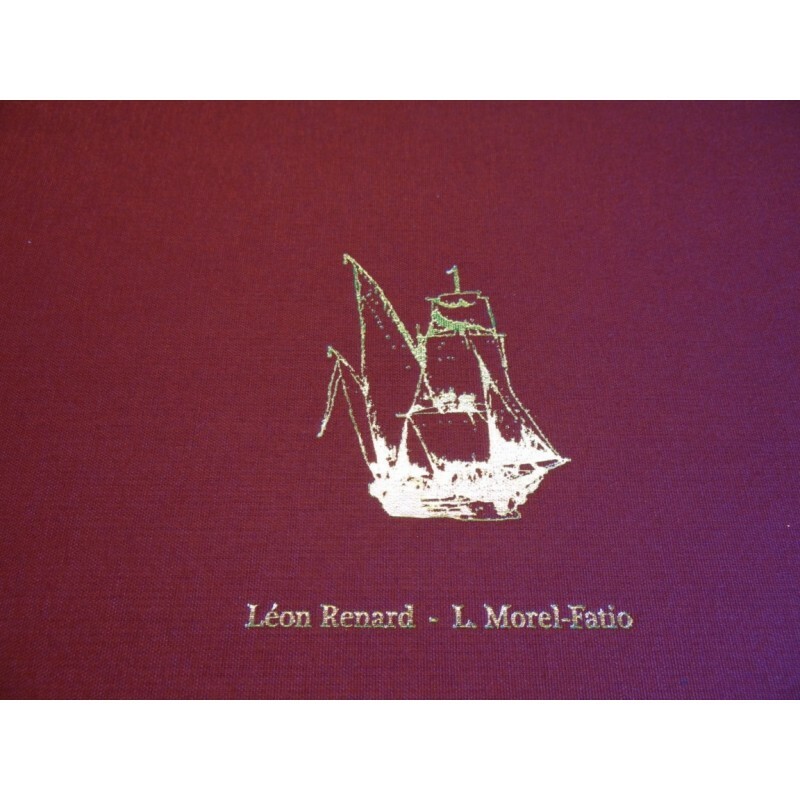 We may believe, however, that Renard did not betray Morel-Fatio since, indeed, both men were to publish other works together such as « Merveilles de l'Art Naval »written by Léon Renard and illustrated with 50 small woodprints by Morel-Fatio (in 1866, the following year). 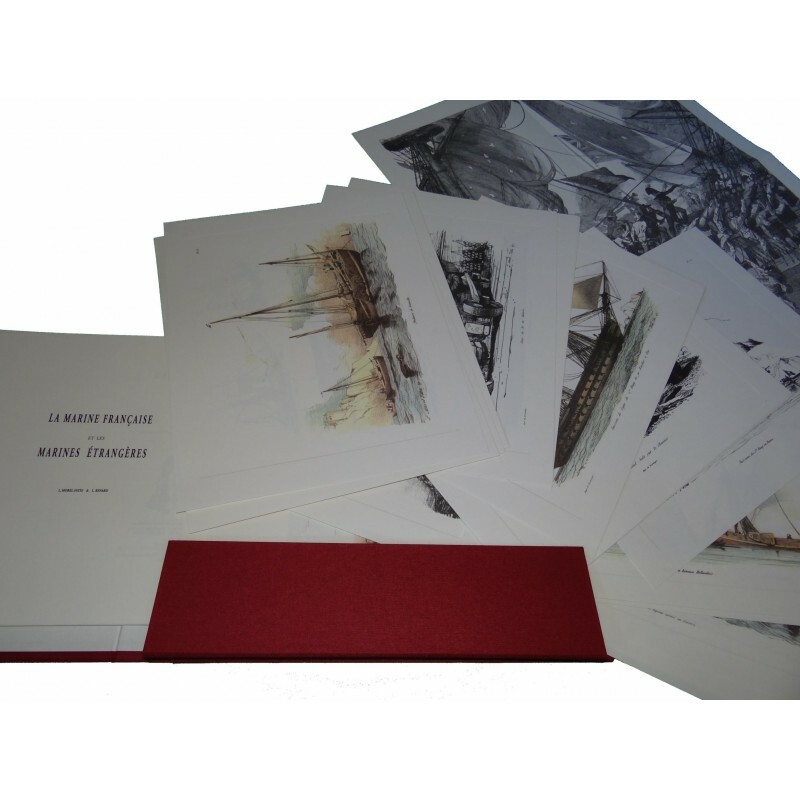 The pleasant format in the Italian style that enhances the beauty of the plates was chosen for the present repint. 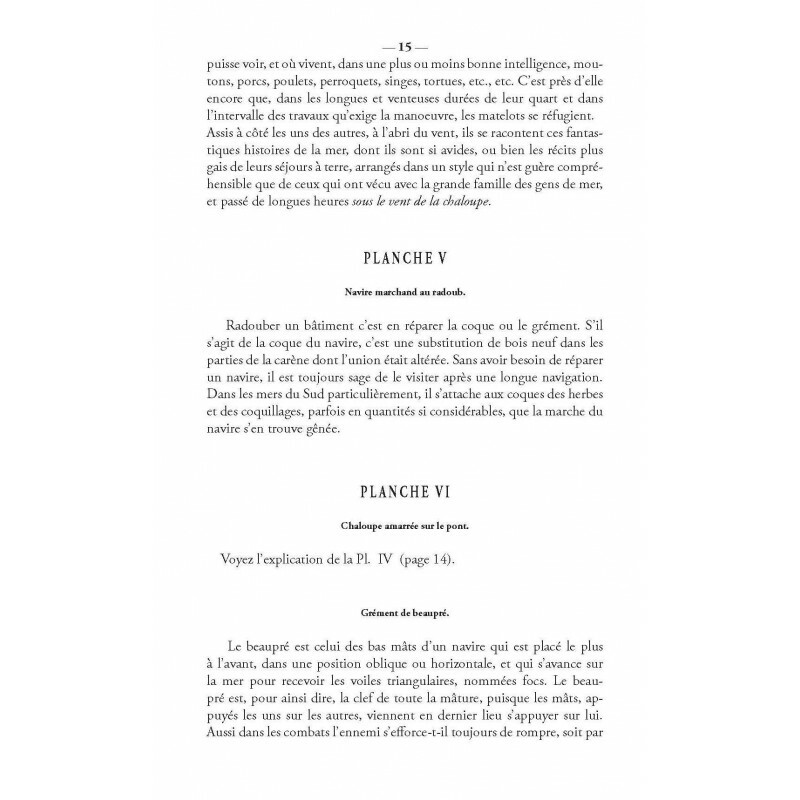 This first reproduction of the rarest of works containing 56 pages of descriptive text by Léon Renard and 43 25 x 32 cm plates, by Morel-Fatio, 22 of them in color (colored first edition) also contains a 52 x 42 plate showing the boarding of the British frigate l'AMBUSCADE by the French corvette la Bayonnaise on December 14, 1796.